Driving to the coast from Tallahassee just past the turn off from Crawfordville Highway onto Coastal Highway (Hwy 98) you will see a small food trailer on the right. Normally I would just drive right by. 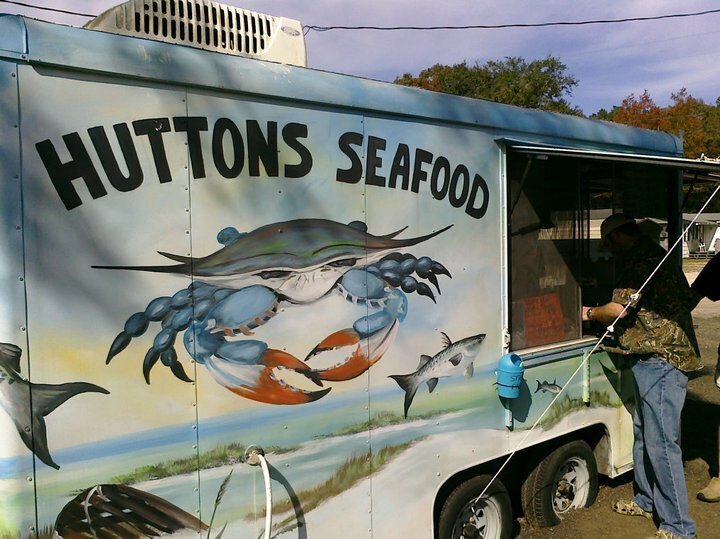 But after several rave reviews from friends we tried it out… Hutton’s Seafood & More did not disappoint. The menu is simple but exactly what you want… They will grill your lunch but why fight the fried? 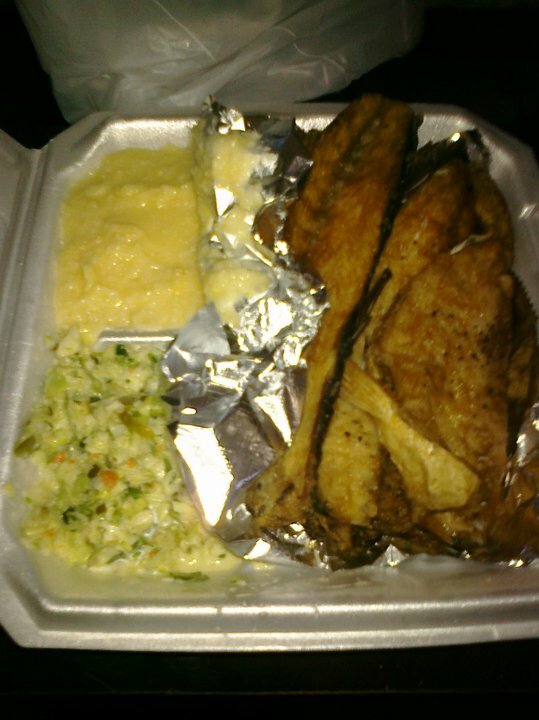 Mullet Dinner- Slaw, Cheese Grits, 3 fillets, backbone and hush puppies! Grouper “Burger” with a nice portion of grouper! 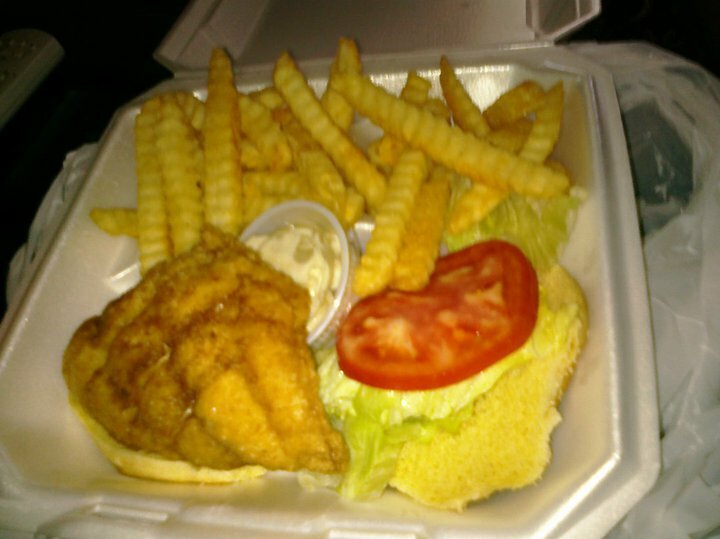 2013 Update- Try the Grouper burger grilled in Garlic Butter sauce!!! We also got great smoked mullet dip and the portion was huge- enough to split. Give it a try on the way home from the coast. Take out or eat on your tailgate! It’s uncommon that a place like this would do EVERYTHING great, but they really do. The fries were particularly impressive. Simple, but lightly seasoned and crispy, not soggy, even after 15 minutes packed in a to-go container.